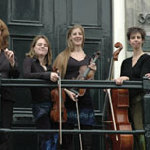 Di Fidl-Kapelye uses more then 100 strings to play klezmer music: the all-female band plays cello, double bass, fiddles and tsimbl. 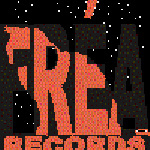 However for this project they asked several trumpet players to compose new music, including Frank London (Klezmatics a.o.) 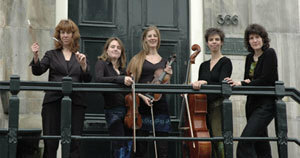 and Gijs Levelt (Amsterdam Klezmer Band). Each new tune was connected to a traditional one, thus bringing old and new together. 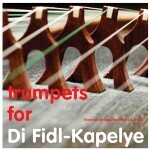 Di Fidl-Kapelye brings a fresh sound to klezmer music.